Hey friends I’ve got an exciting event to tell you about! 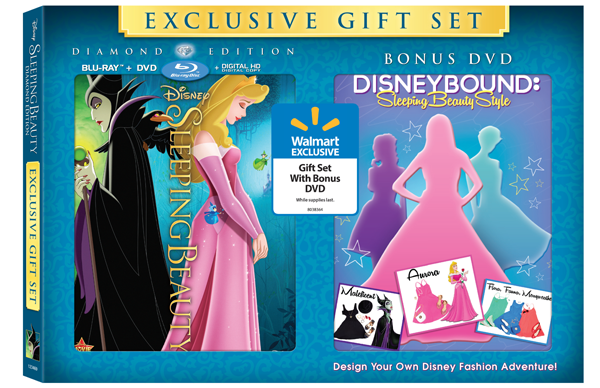 The Sleeping Beauty DVD is being released from the vault this Saturday and at select Walmarts there will be a retailtainment event. Bring your little princess all dressed up between 10-4 to the Walmart on THIS list of participating stores that is nearest you. At the event kids will be able to take part in the fun with Disney Princess coloring and activity sheets, take a photo with a cardboard Sleeping Beauty, sample Disney Princess cupcakes, or purchase Disney Princess character balloons. There will also be a special American Greetings coupon at the event to save $3 with any $10 purchase of Disney-themed Party Goods supplies (at participating Walmart stores). We will be at the event at the Liberty, MO store, follow #DisneyBeauties on social media for updates on Saturday!